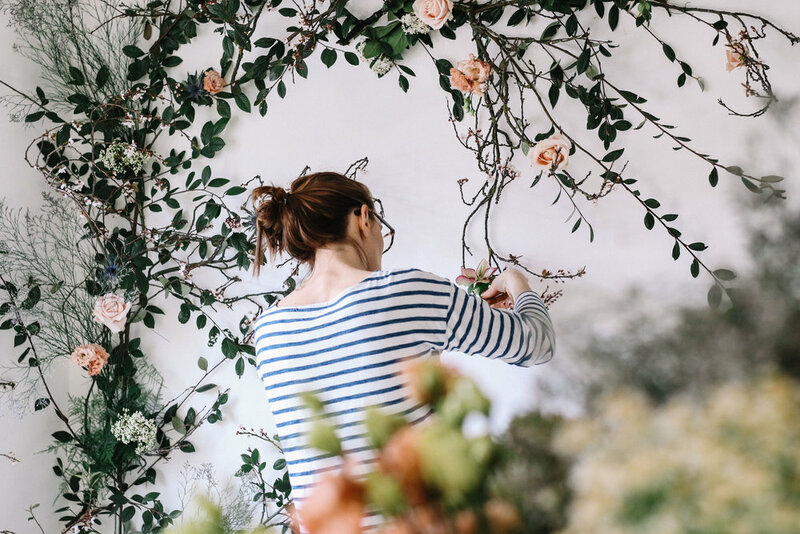 JUNE IN MARCH is owned and operated by Emily Baylis originally from the Alps of France, she followed a long time dream to become a florist and working in events after years working in hospitality in Europe and Asia. Emily started JUNE IN MARCH floral studio in Hong Kong in 2015. Emily’s passion for floral design has created large architectural installations to bespoke weddings and other different events. Taking cue from nature and the ever- changing seasons to combine colours and textures, JUNE IN MARCH’s work is driven by passion for the botanical world, the intense respect of nature and its wild abundance. Now back in Europe, Emily will bring the beauty and wildness of English countryside into her work respecting the natural rhythm’s of the year and supporting British flowers producers.